I know the money was an issue. Having a $1 surcharge wasn't nearly enough. Even if they could have done full speed the whole trip, they would have to have a higher fare if it were to work. The DOT can't do it and their low fares can't be matched by a private operator. I'm glad that we have what we do and that it is so (relatively speaking...look at other areas) inexpensive to use. I'm always happy to take a ride on the Sealth...She's the third boat to fill the Klahowya's spot since January. The photographer, my brother, Mr. 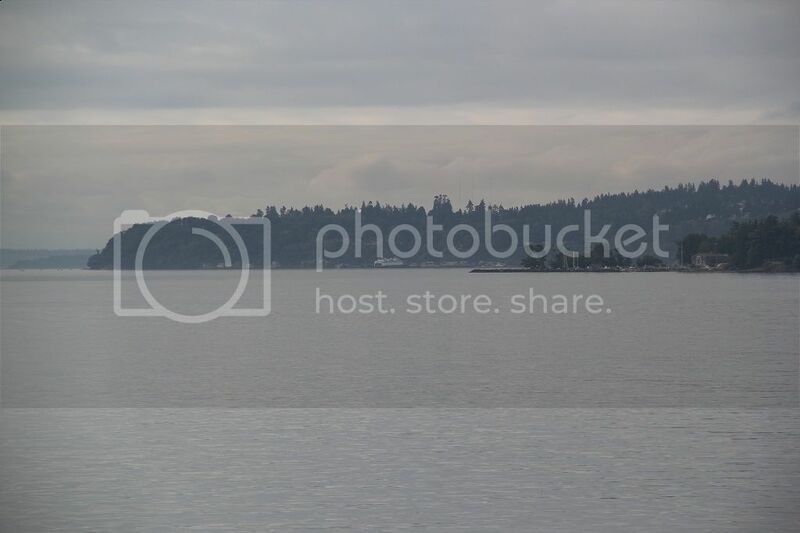 DOT, recalls taking this photo at Fairhaven, Bellingham, Washington, near the AMHS terminal, I gather. Anyone viewing this photo who can pinpoint the exact location is welcome to do so. The ship appears to be out of service, having maintenance work done, perhaps. Sealth is back down at the triangle for a bit while the Klahowya has her scheduled maintenance. 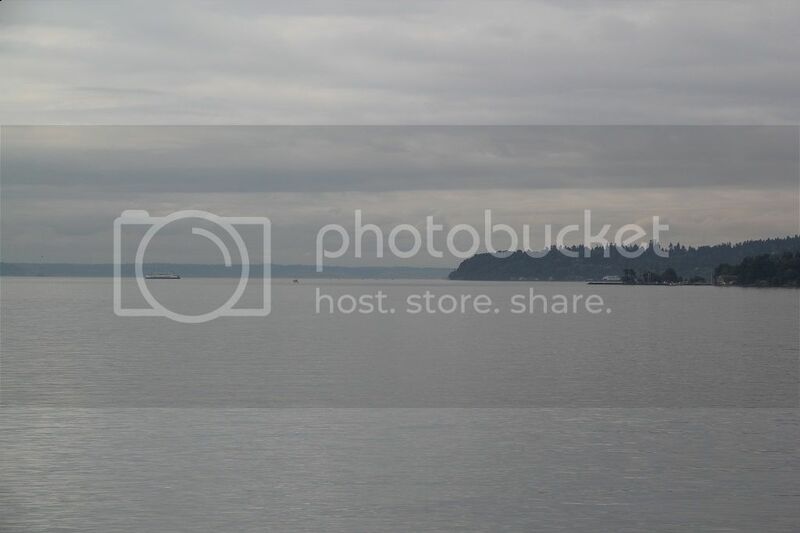 M/V Sealth departing Vashon for Southworth. Sealth is going to be the third vessel on the Anacortes to San Juan Islands from December 15 to the end of the winter schedule. Speaking of the Sealth, I took my first crossing aboard her last Tuesday. 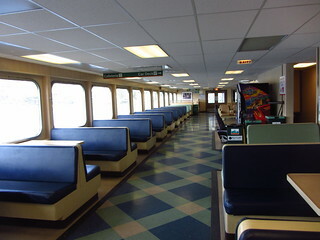 It felt interesting and unique to ride aboard the last unmodified Issaquah-class ferry, Almost hard to imagine how they fit the two upper-level wing decks into those. Didn't they lift them three feet or something when they added the wings? Or am I completely mistaken? No. The Issaquah Class vessels were designed from the outset to have upper car deck wings added later, which they did on 5 of the 6 ships. 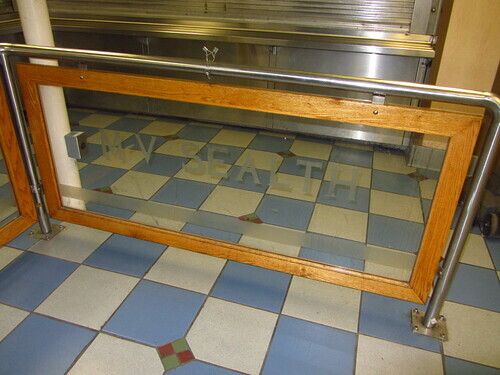 Sealth is the last single car deck Issaquah left. Evergreen State was the vessel that was lifted about 3 feet or so. The lifting didn't add another car deck, but it did allow for taller vehicles. Is Sealth usually the third vessel on the Anacortes to San Juan Islands during the winter schedule? 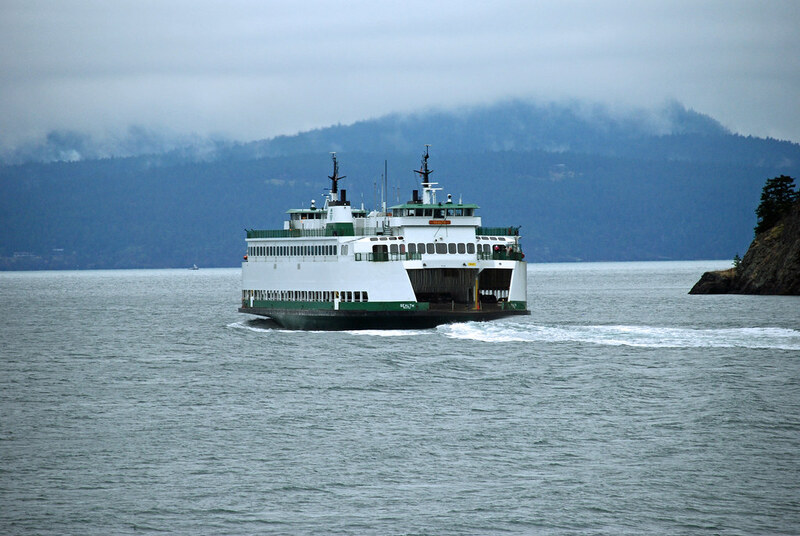 When does the Sealth take over fourth (Inter-Island) vessel on the Anacortes and San Juan Island during spring,summer, fall schedule. What year does this happen? 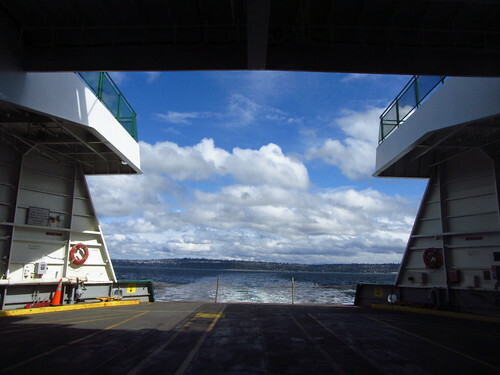 Awesome-Cheese, because of your keen interest in Washington State Ferries, I thought I'd introduce you to a fine website resource, for you to thoroughly read and enjoy. Honestly, I'm not sure that the designers should be given that much credit. If they had been designed (or at least designed well) for future retrofitting, the stairwells would have been about four to six feet further back, giving a much more functional rise to the ramps. Sometimes I think it was more a matter of make-it-work, rather than we-meant-to-do-that. That being said, the planning stages are now about 35 years behind us (holy carp, really?) and in true WSF fashion, make-it-work is what they did. IMO the Issaquah-class is too small a vessel to function well with two-level wing decks. Setting the stairwells back 4-6 feet might work for better ramp designs, at the cost of at least 10 cars total capacity. The better idea would be to undergo the original plans which would've called for them to be cut in half and extended lengthwise, then the upper decks added. But yeah, can't go back and rewrite history. I'd never seen or heard of that variant either, but I'm not omniscient on the subject. If you're talking about the cutting of the vessel in half and expanding it, that was part of the original design before MP&E got involved. It is noted in that clipping I've posted a few times on the first Issaquah design that was later rejected. The MP&E version of the Issaquahs was never intended to be expanded in that fashion--it was a design/build contract with MP &E.
The top man in the Washington State Ferries yesterday proposed adding a deck to each of the system's six Issaquah-class vessels, saying enlarging existing boats would be cheaper than building new ones. Retired Coast Guard Adm. Harold Parker, the ferry system chief, made the proposal to the state Transportation Commission. A spokesman for the Department of Transportation said the extra car decks would cost about 2.5 million per boat. 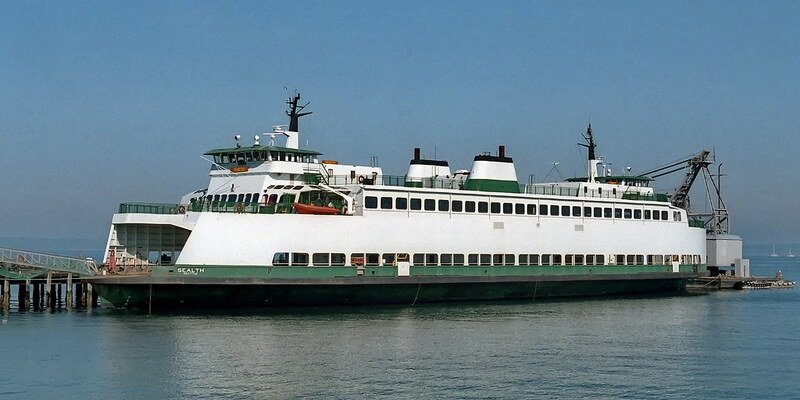 The ferry system also announced that it has signed a $9.1 million contrtact with Todd Pacific Shipyards for rebuilding the ferry Evergreen State. The ferry has been moved from Eagle Harbor to the shipyard, and Todd has provided a bond covering the full cost of the job. The previous contract with Todd fell through because it could not get a bond for the full amount as required by state law. 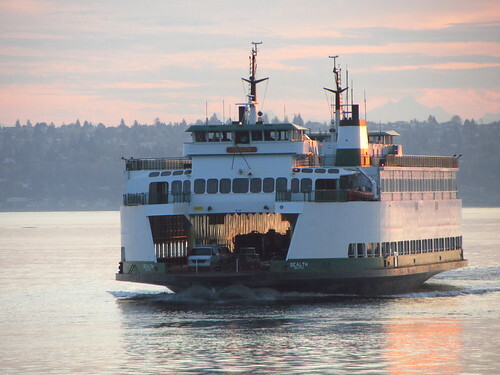 Two of the Issaquah-class ferries are schedule for reconstruction work nex year nd the ferry system would like to add the new decks during their refurbishment, according to Capt. Don Schwartzman, marine superintendent of the ferry system. 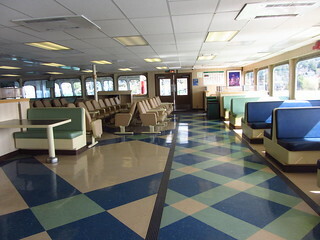 The new decks would add space for about 30 cars per ferry at a cost of $85,000 a space, according to Transportation Department spokesman Jack Fischer. 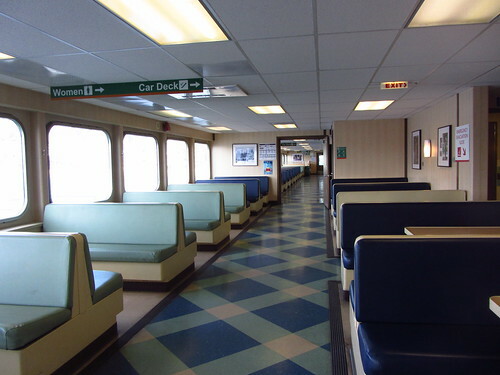 New ferry construction would cost $325,000 per space. The additional load should not harm stability and would not require much more fuel, Fischer said. Schwartzman explained that the reconstruction is estimated to cost 1.9 million and is already previously budgeted. 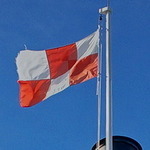 It will include replace of the ferries' propulsion contril systems, long a subject of controversy. 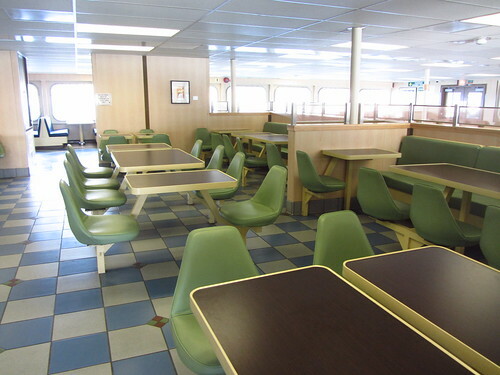 The $5 million for new decks on two ferries would be included in a supplemental budget request, which the commission will consider today. Looks like the latest maintenance schedule shows the Sealth at Bremerton with the Kitsap for the first week of November. Has WSF completely lost their marbles?! Is not the Kaleetan going to the San Jauns in November? According to the maintenance schedule the Kaleetan is going in maintenance for the first three weeks of November then a week in the San Juans then three weeks at Bremerton then finish the fall schedule in the San Juans. At Bremerton, the Sealth will be subbing for her during the first week of maintenance and the Hyak during her time in the San Juans and her last two weeks at Eagle Harbor. 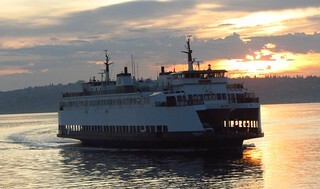 Sealth will be on the Fauntleroy-Vashon-Southworth Route to replace the Issaquah also Chelan for a week are so. The Sealth is currently at Colman Dock, ready to take the Kaleetan's spot starting with the 7:55PM departure (not sure but why would she be there so early?). She was waiting south of the terminal when the Kaleetan arrived for the 5:35PM departure. 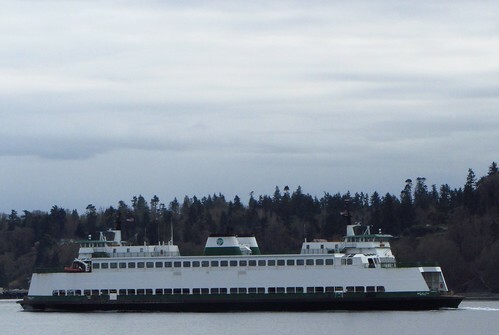 While the Kaleetan was at dock (in slip 2) she moved to slip 3 but then one the Kaleetan was gone she moved to slip 2, leaving slip 3 open for Bainbridge and slip 1 open for the Kitsap (6:45 departure) and the Kaleetan.